All New Directors Cut coming Fall 2017! INSIDE HIGH NOON, a documentary explores both the remarkable 1952 film and the gripping story behind its troubled production. The real-life events behind the making of HIGH NOON make for rich drama, indeed. When released, HIGH NOON was seen as an attack on HUAC. However, this means little to an audience today. INSIDE HIGH NOON examines with fresh insight what makes HIGH NOON timeless, and why it works so powerfully still, over 60 years after its release. 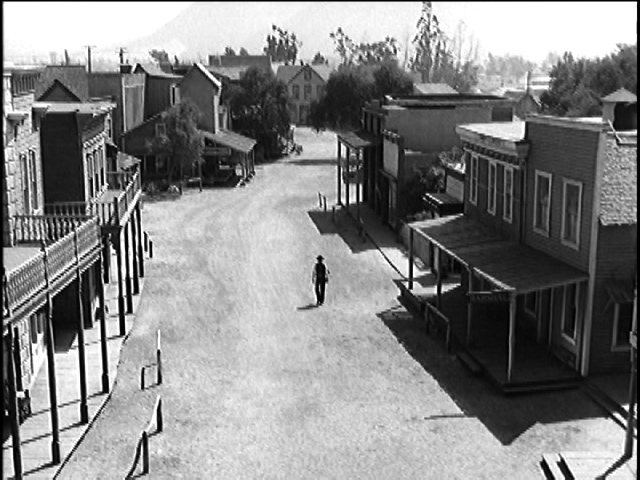 Decried by influential auteurist critics and academics, HIGH NOON has been attacked for being untrue to the western genre – read anti-populist; for being “middle-brow” (whatever that might mean); for being social drama hiding behind the western genre – and muddled social drama, at that; for being the most un-American film ever made (courtesy of John Wayne), etc. However, 56 years after its release, HIGH NOON still powerfully resonates with audiences around the world. When Solidarity needed a universal image to promote democracy and the right to vote in Poland in 1987, they chose Gary Cooper in HIGH NOON, a ballot in his hand rather than a gun. Conservatives and liberals both manage to cite HIGH NOON on the floor of Congress as a metaphor for their competing political ideals. Political cartoonists and headline writers inevitably use HIGH NOON as reference for countless crises. President Eisenhower cited High Noon as his favorite film, as have President Clinton and former Japanese Prime Minister Junichiro Koizuma. On one hand, HIGH NOON has been attacked for being a conservative, damaging portrait of arrogant male paternalism. On the other hand, HIGH NOON is praised for challenging entrenched notions of gender, for exploring masculine anxiety, masculinity as a construct. Feminist critics and academics are offering intriguing and complex new readings to HIGH NOON. Example: Amy Fowler (Grace Kelly) is having her new husband, Marshall Will Kane (Cooper), quit his career, leave his town, leave his friends, marry outside his church, and open a store of her choosing (wearing, perhaps, an apron?). Does Will Kane take on the villains at noon as a final gasp of masculine protest, as a declaration of independence from his wife’s control? Ernest Hemingway compared a story’s meaning to an iceberg – like the iceberg, 7/8th of which lies hidden beneath the surface, 7/8th of a story’s meaning lies beneath the surface. Carl Foreman’s bare-to-the-bones script and Fred Zinnemann’s equally spare direction are a perfect film correlative to Hemingway’s iceberg theory. This taut, seemingly straightforward little suspense western is complex, multi-layered, and perhaps even more relevant today than when it opened over 60 years ago. High Noon is my favorite movie of all time.